This page offers an online transformation service capable of dynamically generating vector graphics from UML models. The UML models which are represented by XMI-compliant XML files are turned into vector graphics complying to W3C's SVG standard. This service was jointly developed by M. Jeckle, D. Boicourt, and B. Stritt. Gentleware supported the the XMI generation by providing an implementation of UML 2.0's upcomming Diagram Interchange specification. 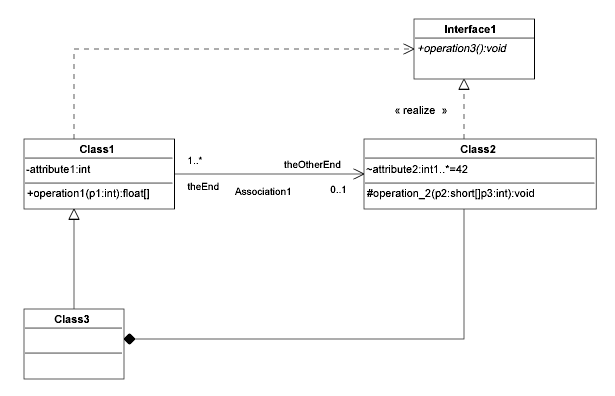 Please note that currently only XMI versions compliant to UML 2.0's metamodel (which explicitely includes diagram interchange data) is supported. Best results are created by using Poseidon to export the required XMI files. NOTE: Neither Rational Rose, XDE nor Toghether are currently providing UML 2.0 compliant diagram interchange by their respective XMI export filters! The transformation is carried out solely by executing XSLT stylesheets (a.k.a. transformations) the the XMI-compliant input.